Bill Barker, as Thomas Jefferson, posing with Gabby, a young visitor to Colonial Williamsburg. Visitors to Colonial Williamsburg are able to have their "portrait made" with Mr. Jefferson. 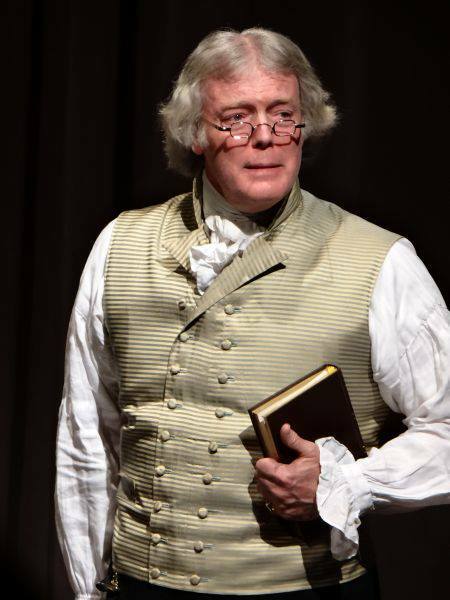 Bill has portrayed Thomas Jefferson in a variety of venues since his first appearance at Independence Hall in Philadelphia in 1984. 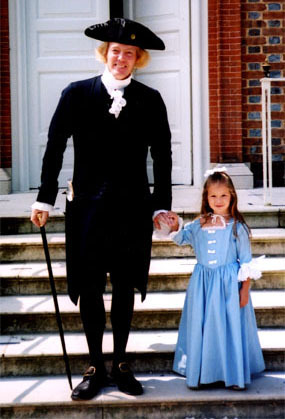 He first came to Williamsburg in the spring of 1993 to perform as Jefferson in a film made to honor Ambassador and Mrs. Walter H. Annenberg. He has continued to appear as Jefferson for Colonial Williamsburg, and assists in the development of Jefferson programs for the Foundation. 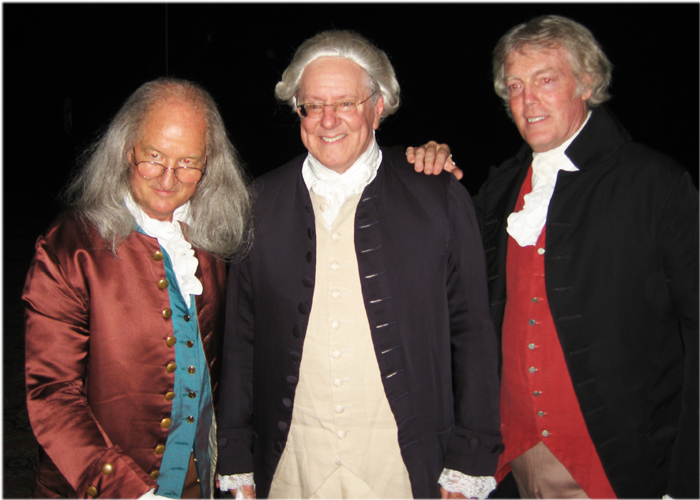 Born and raised in Philadelphia, Bill's interest in Thomas Jefferson reaches back to his youth. He enjoys researching the American world Jefferson knew with an interest in the role the man played and continues to play in our American identity. Bill received a Bachelor of Arts, majoring in history, from Villanova University and attended the University of Pennsylvania for a brief time. Attracted to the stage at an early age he became a professional actor, director and producer. He was cast as Jefferson in many different venues including the musical, 1776. Bill is the same height, weight and general appearance as Mr. Jefferson. Over the years he has evolved a repertoire of Jefferson presentations tailored to corporate and government audiences, as well as schools, societies and festivals. Bill performed as Jefferson at the White House, the Palace of Versailles and throughout the United States, Great Britain, France and the Las Vegas Strip! 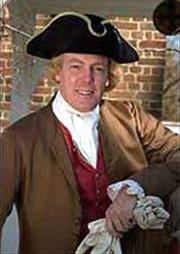 He presented for Chataqua and has been featured as Jefferson in several magazines including Time, People, Atlantic, Philadelphia, Southern Living, Reader’s Digest, and the Colonial Williamsburg Journal. Bill's work is praised in various newspapers, newsletters and reports, among them those of Thomas Jefferson’s Poplar Forest, Mount Vernon Ladies’ Association, The Remnant Trust, The Jefferson Legacy Foundation and The Colonial Williamsburg Foundation. He appeared as Jefferson in programs aired on ABC, NBC, CBS, PBS, CNN, The History Channel, and C-SPANN. He has received commendations from The City of Philadelphia, The City of St. Louis, The City of New Orleans and The Hellenic Ideals Foundation. He enjoys historical research, archaeology and traveling. Bill Barker is a student of history and an actor. He is passionate about both and brings them together in a way that allows people to be transported back in time to feel, hear and taste what it would be like to mingle with Mr. Jefferson. On behalf of Colonial Williamsburg, Mr. Jefferson may suggest an agreeable program suitable to your particular ceremony, symposium, gala repast or classroom. 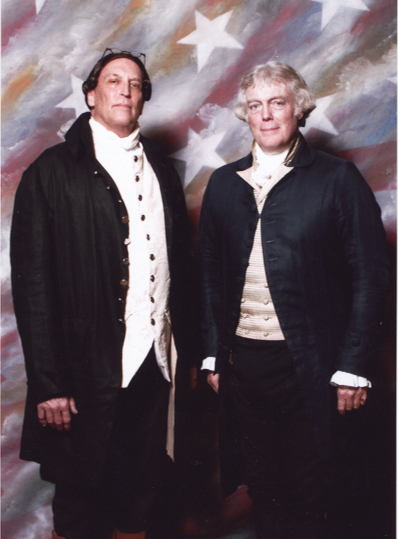 For more information on how your group might be able to have Bill Barker as Thomas Jefferson attend your event, please email Bill Barker at Bill@thethomasjefferson.com.